It goes without saying that the most important factor in event promotion is the quality, uniqueness and overall attractiveness of an event, but understanding how to leverage social media can also be key to its success these days. With over 330 million members, LinkedIn is now pretty mainstream for people in business, so the chances that any of your prospective delegates are not on there is pretty remote. Yet as a regular speaker at events I am surprised at how few event organisers utilise LinkedIn effectively to attract attendees and I can only remember one occasion where I was asked to assist with promoting the event. So here are my top 9 techniques to use LinkedIn for event marketing, and ensure your event is the most talked about and eagerly anticipated you have ever run. The most obvious method of communication on LinkedIn is to post a personal update to your connections including a link to your website or Eventbrite page. This would typically be done by typing a few lines and then copying the url and pasting it into the update – LinkedIn will then scan that page for images and let you choose which image to show in the update. Alternatively you could use a ‘share to LinkedIn’ button on the Eventbrite event page itself. There is however an issue with both of these methods – most of your connections are likely to have pretty busy home page feeds and getting them to notice your update is not straightforward. The secret to drawing attention to your update is to use large, eye catching images and whilst the above methods will show an image, it will be about 1/3rd of the size of an image that you post directly from your computer. 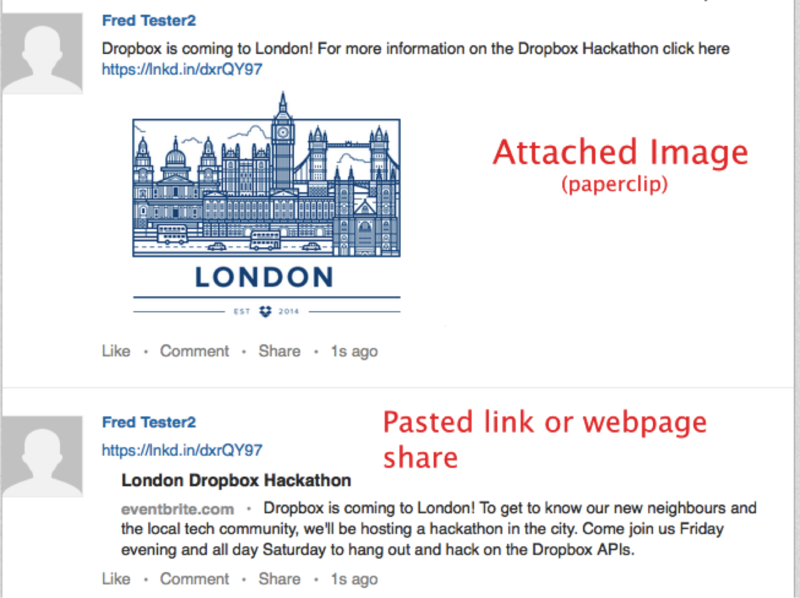 To add a more prominent image, simply click on the paperclip symbol in the update field to add your image. It is also important to make the post interesting and engaging by posing a question, as this will increase the possibility of people who you are not connected with seeing it. You can now publish your own long form content directly onto LinkedIn, which is a great way to boost your events’ numbers by doing some content marketing using this highly effective native tool. Essentially, the ‘Published post’ tool provides an opportunity to reach a much wider audience (you can also share it via a status update). The key to publishing is to get your post into one of the Pulse channels. 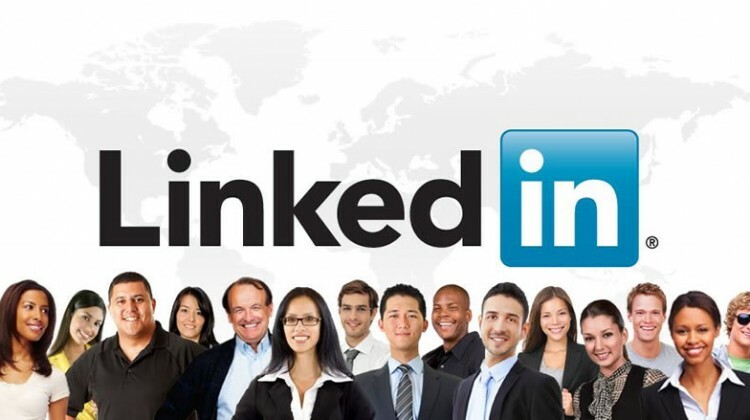 This way you will reach a different and potentially much bigger audience than just your connections on LinkedIn. Getting published in a channel requires a post that satisfies the criteria of the LinkedIn algorithm to be seen as ‘relevant and interesting’. LinkedIn keep this a closely guarded secret but you can get some clues by looking at the posts that already feature in your chosen channel. Always make the post interesting and engaging by challenging the reader and asking questions, this will also increase the chances of getting it into a channel. InMail. This is the paid method of communicating on LinkedIn. An InMail can be sent to anyone provided you have credits which come with premium accounts or they can be purchased separately. First tier connection message. You can send a free direct message to anyone you are connected with and you can send one message to up to 50 connections by simply typing their name into the ‘send to’ field. Note – remember to de-select the ‘show email addresses’ box at the bottom. Group message. If you share a group with someone you can send them a free, direct message by simply finding them (members tab) in the group and clicking on the ‘send message’ link. If you are connected to someone you can see their email address in the ‘contact info’ section of their profile. In addition you can download all your first tier connections, including their email addresses onto a spreadsheet from the ‘keep in touch’ settings page. This needs to be handled carefully though because connecting with someone is not the same as joining their list and giving them permission to email you – this could be considered to be spam. If you do take the route to promote your event, make sure it is explicit where you got their email, and make it very easy for them to opt-out of any future email updates. You can also send status updates from a company page (provided you have administrator rights). Company pages cannot connect to people but individuals can chose to follow the updates from your company page. This will normally be a more limited audience (depending on the size and familiarity of your brand), but it is still a good place to keep people informed about your event news. Showcase pages are separate subsections of a company page that have their own followers. You could create a showcase page for your event and ask relevant people to follow it, this will then allow you to post regular updates about the event. Groups are designed to be community based discussion forums and they can be a very useful feature for publicising and running events. Create a group specifically for the event and invite people to join – this can include delegates, organisers and speakers. You can create discussions about the subjects that will be covered during the event and ask the relevant speakers to contribute. This will help the speaker to gauge the audience and create a greater buzz around the event. In addition the discussions could continue after the event allowing delegates to remain in contact with the speakers and other delegates. If your event involves speakers then ask them to write an overview of their talk and pose questions that are pertinent to the subject. They could publish this as a post on their own profile which you could then share or just send you the copy and you could publish it from your profile making sure that you quote their name in any status updates you post to promote the post (assuming they are a connection, quoting their name will alert them of this and link to their profile). There are two ways you can post paid adverts on LinkedIn. You can buy an advert block which works in a very similar way to Google adwords but by far the most effective method is a sponsored update. This method allows your update to be specifically targeted at anyone on LinkedIn (location, job title, seniority, industry etc) as opposed to just your connections. Updates are more likely to be seen than a standard ad posting because users browse through their update stream, in addition sponsored updates can also be seen via mobile and tablet apps and over 50% of LinkedIn traffic now comes via apps. So there you have it, 9 ways to use LinkedIn for event marketing. All of these methods can have a significant impact, but if promoting your events is all you do on LinkedIn, they will be much less effective. The key to communicating effectively on LinkedIn (as in any marketing) is to post regular, useful and interesting content that is not only about selling you or your events, because this then earns you the right to occasionally post something of a more promotional nature. If you are a connection and the only time I see anything from you its a promotional update, post or message then I will quickly learn to ignore you. A healthy and effective ratio should be one promotional update in every four. Have you seen success in promoting your events on LinkedIn? It would be great to hear about your experience in the comments! Following a career spanning 20 years in the recruitment industry, Mark set up ETN LinkedIn training in 2008. Since then he has trained thousands of LinkedIn lists from a diverse range of industries and roles.